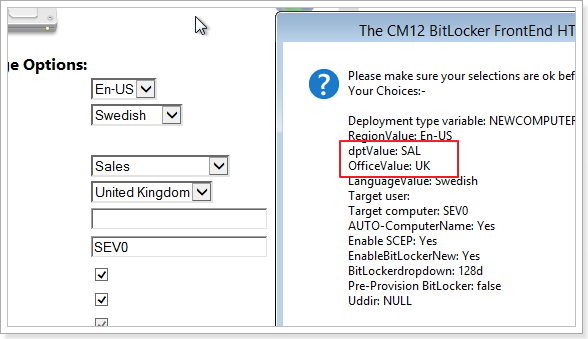 ok I made two downloads available, one for SP1 and one for R2, which one did you use ? What is the best way to get an OU selection into this HTA? I have everything down to a science but still cannot get the variables to pass. I am using OSDDomainOUName when creating the objects in tsENV. Has anyone gotten this to work before? I'm getting desperate now as I'm so close to having this implemented at my workplace. As we are looking to name our computers according to a number of parameters (specifically depending on the office location and the department), I decided to extend Niehaus' RIS Naming webservice. In short I simply modified it to take two new parameters, department and office. then, execute the cmdline to run the ChangeComputerName.wsf script to do the computernaming, the first time you try it don't include any parameters, what output do you see ? next time you run it include the parameters it expects, what output do you see ? Thanks for replying, really appreciate it! It might be worth mentioning that the boot image I'm using is x64, although that shouldn't matter. We can clearly see that it's POSTing the correct values, yet it appears as if the VBScript can't invoke the WebService properly. I'm digging through the error codes and hopefully I can nail down the issue. Any other ideas? So, I decided to try a workaround, using PowerShell instead, as I think something is happening with how the VBScript calls the webservice. So I decided to try to invoke the PowerShell command in a few different ways, but all of them fail. The script itself isn't exactly rocket-science, but in this case it appears to be failing because it fails to start the PS host shell? 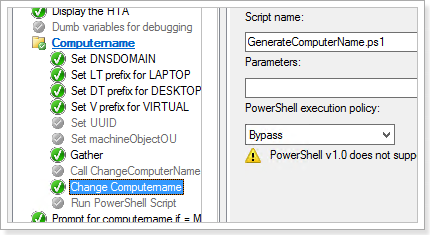 Write-Output "INFO: Set ComputerName to $ComputerName"
Ideas why the PowerShell would fail? 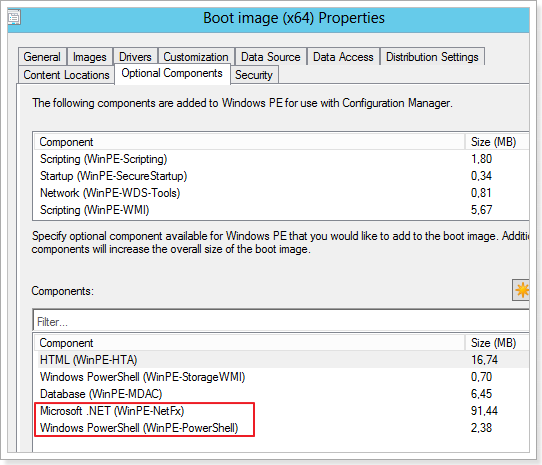 did you update your boot wim to the dp's AFTER you added the optional components ? Finally got this to work! 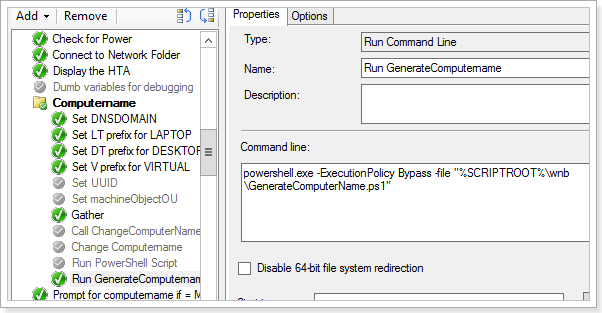 powershell.exe -ExecutionPolicy Bypass -file "%SCRIPTROOT%\wnb\GenerateComputerName.ps1"
$toolsPath = ($scriptPath | Split-Path | Split-Path) + "\Tools\Modules\ZTIUtility"
What is the difference between this HTA and The CM12 UEFI BitLocker Frontend HTA? the UEFI version handles refreshes to UEFI as well as legacy hardware, so it's more future resiliant, plus it has the new HTA design.. I'm not sure. All I know is that the VBScript fails, whilst the PowerShell script doesn't. It might be something in ZTIDataAccess.vbs (WebService class section). 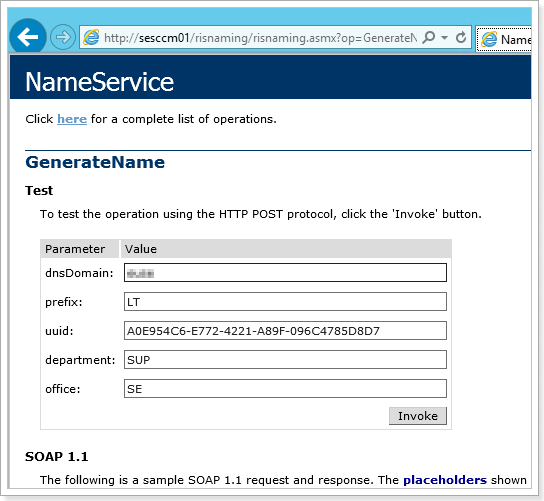 All I can tell that the call to the webservice doesn't work, but doing it the same way using PowerShell works fine - could there be a missing reference somewhere? If time permits, I'll try to recreate the issue and see if I can nail down the root cause. Well, the web.config file remained unchanged during this time, and it doesn't explain why it would be possible to POST using PowerShell yet not with VBScript. As you can see, it allows for both POST and GET. It's odd, because you are right in that IIS 500 errors point us to the webservice - but maybe the VBScript added something to the "payload" (i.e. content) which the webservice couldn't handle?